Led by Roastmaster Felton Jones, we work with partners from all parts of the world to identify and source the highest quality coffee. From farm to cup, you’ll taste the difference in every cup of coffee. The freshest, most delicious cup of coffee we possibly can deliver. 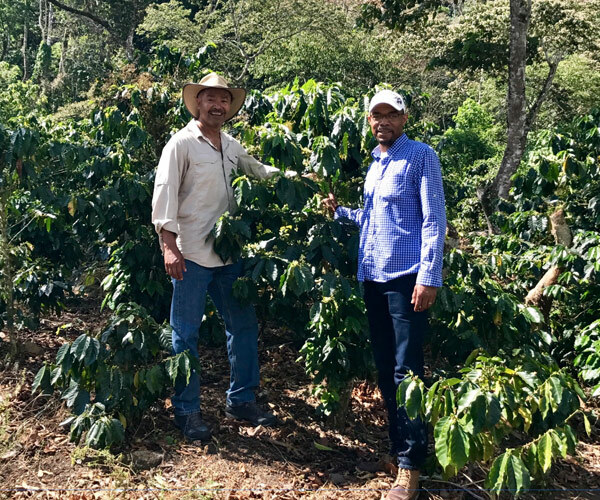 Felton Jones works directly with our farms, to review coffee Arabica plants. Each coffee plant takes roughly 3 - 5 years to grow and produce coffee cherries. Once the cherries grow, they take an additional 9 months to ripen bringing the freshest, most delicious cup of coffee. By partnering directly with farms, we are committed to doing business in ways that are good for the planet and each other. Not only are we serving a great cup of coffee to customers, we’re developing programs that improve the quality of health, education and housing through community initiatives. We're proud to extend our family to our direct trade partners, Finca Terrerito and Agua Fresca, while minimizing our environmental footprint.